In late January, In partnership with award winning, Fine Art Photographer Brian Minson, we hosted a Wedding Photography Workshop and styled shoot. This was an great opportunity for several vendors and photographers to show off their skills and learn a few new ones. Thank you to the Fresh Event Venue for hosting this event. 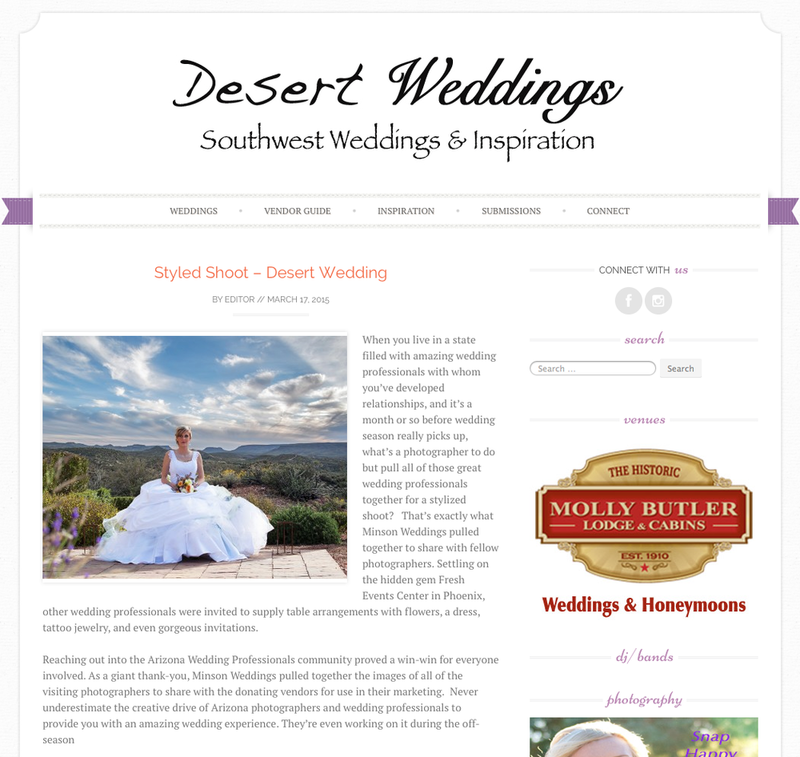 Thank you to Arizona Weddings Magazine and Desert Weddings for publishing everyones hard work.